When tradition is a necessity. The classic O-link gets a florid refurbishment in the Sara bracelet. 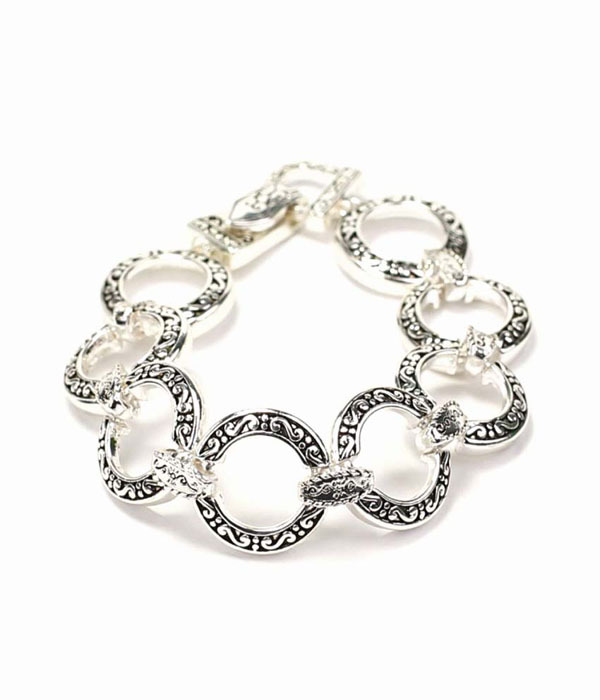 Featuring etched ornate detailing in cast silver. A staple for everyday and anywhere. Buy your new bling today from the largest range of costume jewellery online Australia.